Outcomes have been translated in different languages and serve as a benchmark for student’s capabilities to be achieved in each subject & class. (4) Government of India has decided to participate in the Programme for International Students Assessment (PISA) to be conducted by the Organization for Economic Cooperation and Development (OECD) in 2021. PISA is a competency based assessment which unlike content-based assessment, measures the extent to which students have acquired key competencies that are essential for full participation in modern societies. Learnings from participation in PISA help to introduce competency based examination reforms in the school system and help move away from rote learning. The CBSE and NCERT are part of the process and activities leading to the actual test. (6) The NCERT has developed a framework for Performance Indicators for Elementary School Teachers (PINDICS) and shared with the states. PINDICS is a framework for assessing teacher performance and providing constructive feedback for further improvement. 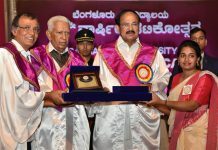 (iv) e­ PATHSHALA: a single point repository of e ­resources containing NCERT textbooks and various other learning resources has been developed for showcasing and disseminating all educational resources including textbooks, audio, video, periodicals, and a variety of other print and non-­print materials. 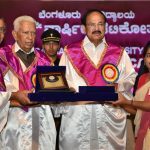 (vi) A programme for utilization of satellite communication technologies for transmission of educational e-contents through 32 National Channels i.e. SWAYAM PRABHA DTH-TV has been launched. 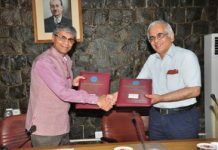 Central Institute of Educational Technology (CIET)-NCERT is the national coordinator for one DTH TV channel i.e., Kishore Manch (#31) and has started feeding a 24×7 educational TV channel w.e.f. 09 July, 2018. Besides, NIOS is running 5 channels for teachers, for Secondary and Sr. Secondary levels and for sign language. (vii) Performance Grading Index (PGI) – In order to objectively evaluate the performance of the school education system in the States/UTs, MHRD has designed a 70 indicators based matrix to grade the States/UTs. The indicators have been chosen after detailed stakeholder consultation and the information on these indicators is drawn from the inputs provided by the respective States/UTs. This grading system will assist the States and UTs to identify the gap and design appropriate interventions to bridge them. (viii) Unified District Information System for Education Plus (UDISE +) – Timely and accurate data is the basis of sound and effective planning and decision making. Towards this end, the establishment of a well-functioning and sustainable Educational Management Information System is of utmost importance today. Therefore from 2018-19, it has been decided to launch the UDISE+ application, so that it becomes an effective tool for decision making. The entire system will be online and will gradually move towards collecting real time data.